This 4 bedroom, 3 full bath home is worth a look. 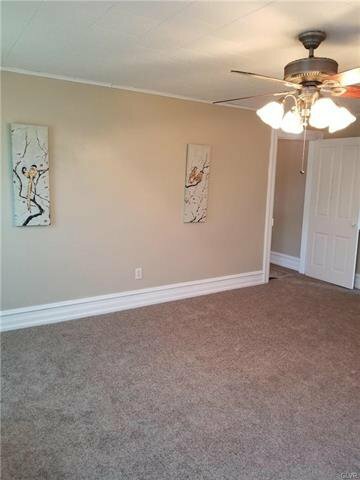 Home has been totally updated with fresh paint and new carpets and tile flooring. The home has all natural wood and nice big eat in kitchen with 42" cabinets. Deck has been redone out back and has a low maintenance backyard with flower gardens and patios. 1st floor laundry and nice sized living room, computer room/bedroom and full bath complete 1st floor. 2nd floor has 3 additional bedrooms (No walkthrus) 2 have their own private full baths. Third floor bedroom could also be a family room or play area for the children. Home is close to school, library and shopping. LV mall 5 minutes drive. Owner will pay some closing costs for the buyer.Lower taxes too!